Henry's current practice focuses on estate planning, probate, and trusts. Henry has tried numerous jury and nonjury trials in most counties in western Washington, including the federal courts, and argued appellate cases in all three divisions of the State Courts of Appeals and the Washington State Supreme Court. Initially his practice was general litigation including insurance claims, plaintiff and defense, maritime issues, and estate disputes. His most recent trials involved litigation over beneficiaries' rights in credit trusts, estate planning contracts, and non-probate asset disputes. In addition to full trials of estate issues, he regularly appears on the probate calendar to represent Personal Representatives and beneficiaries in contested motions. Henry received his Juris Doctorate from Southern Methodist University in Dallas in 1969 and was admitted to the Texas Bar the same year. After graduation he served on active duty as a Navy Judge Advocate for four years which included tours of duty afloat as well as ashore in Vietnam and Pearl Harbor. He was admitted to the Hawaii State Bar in 1972. 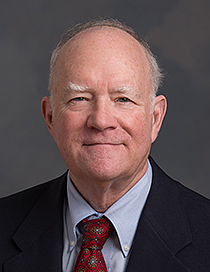 He joined the Mullavey Prout firm in 1974 and was admitted to the Washington State Bar and Federal Courts Bar for the Western District the same year. He has served on professional and community committees including the Ballard Hospital Institutional Committee, Ballard Senior Center board, Bar Examiners, Civil Rules Committee, and as an instructor in the Edmonds Paralegal Program at Edmonds Community College. He served for years as an arbitrator in King and Snohomish County Superior Court arbitrations. He was an appointed member of the Washington State Lawyers' Fund for Client Protection for several years and then chaired the committee in 2012. Other memberships include the Washington State Trial Lawyers, The Estate Planning Council of Seattle, the Elder Law Committee, and the King County Probate and Real Estate Committee.